Fun team building activities, such as ice breakers, are warm-up activities that excite, engage, and jump start participants at the very beginning of our day. By inspiring and insuring fun and laughter immediately, we create a comfortable and connected learning experience. Icebreakers increase motivation, participation, and success. 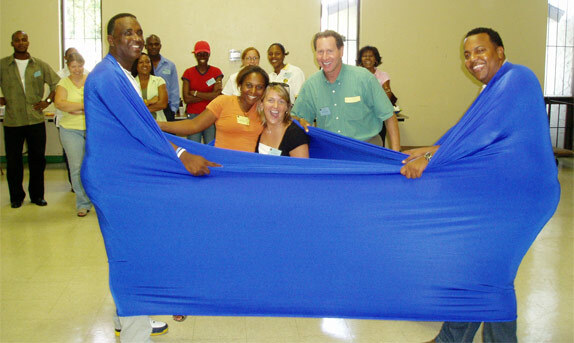 Fun Team Building with Larry Lipman can help! Address the physical, social/emotional, mental and spiritual aspects of your team through a fun interactive agenda customized for your organization. Call Larry today at 404-234-3512 for your free 15-minute consultation.